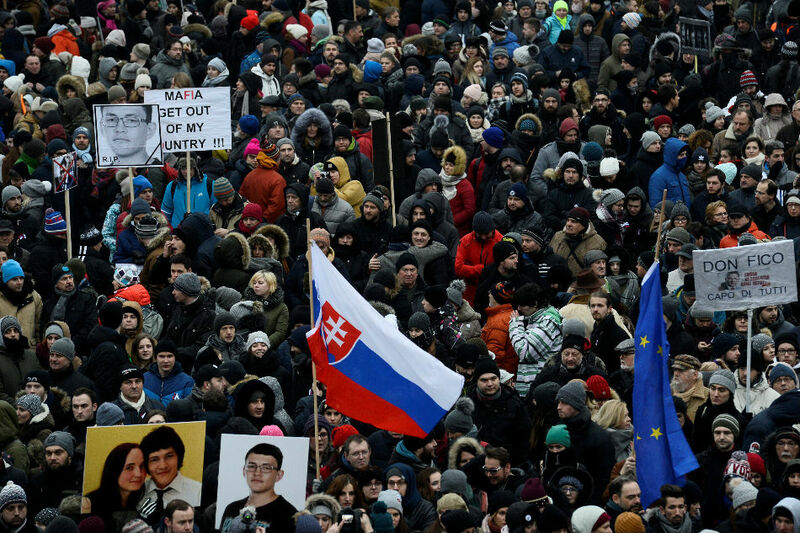 BRATISLAVA - Thousands marched in Bratislava and other Slovak cities on Friday for murdered investigative journalist Jan Kuciak, demanding swift action in response to a killing that has shocked the country and shaken its government. Kuciak, 27, reported on tax and subsidy fraud and links between businessmen and local politicians. He had been looking into suspected mafia links among Italian businessmen in eastern Slovakia. Kuciak and his fiancee Martina Kusnirova, who planned to marry in May, were found shot dead at their home last weekend before he could finish the article. It was published posthumously by Slovak and international media. One of the men named in Kuciak's report, which probed potential abuse of European Union subsidies and other fraud, had past links to people who subsequently worked for Prime Minister Robert Fico's office. Kuciak's death has swelled public anger about allegations of widespread corruption in the EU member state and rattled Fico's three-party government. A junior partner has called for the interior minister to be sacked and appealed for international help in the investigation. "There is a dirty mess all around here... and we common people have to put up with it," protester Jozef Belovic, 58, said as he walked through the capital in sub-zero temperatures along with an estimated 10,000 to 15,000 others. The country's President, Andrej Kiska, also joined the rally. Marching behind a banner saying "An attack on journalists = an attack on all of us" and pictures of the two victims, most walked in silence and many carried candles. Similar events took place in more than a dozen other Slovak cities and were planned elsewhere in Europe, while hundreds gathered in Prague. 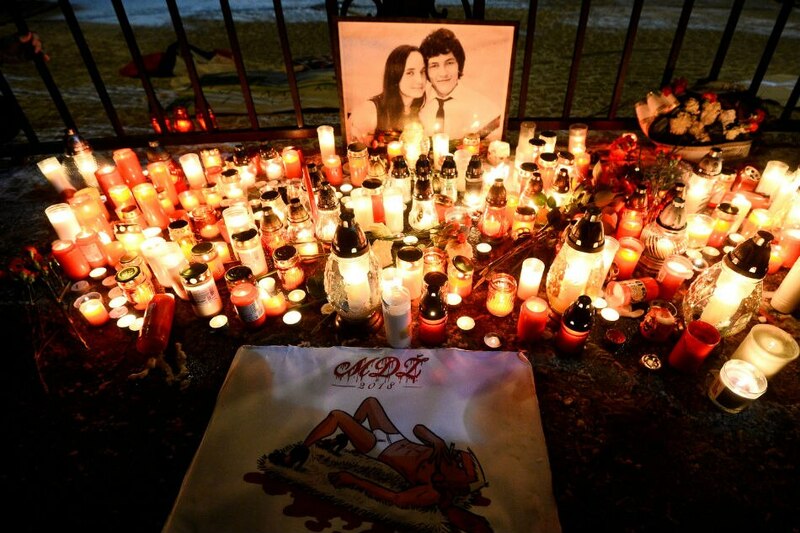 Kuciak's was the first documented murder of a journalist in Slovakia and the fifth such case in the EU in the past decade, according to Reporters Without Borders (RSF). Police investigating his death detained seven people on Thursday, releasing partial names that matched subjects who Kuciak referred to in his final article. On Thursday, Italy's state-owned news agency Ansa said the anti-mafia prosecutors' office in Reggio Calabria in southern Italy had in the past flagged the same names to Slovak authorities. "Those arrested aroused our suspicions after all of them ... had suddenly seen an explosion in their economic and business fortunes in Slovakia," Ansa cited acting chief prosecutor Gaetano Paci as saying. The trail leading, however peripherally, from Kuciak's story to the government has put the spotlight on Fico and his Smer party, which have ruled for 10 of the last 12 years. "Pressure on Fico will grow, it seems that (Interior Minister Robert) Kalinak's resignation is a condition for the government to survive," said political analyst Grigori Meseznikov. Fico once referred to journalists as "dirty, anti-Slovak prostitutes." But his government has offered a 1 million euro reward for information aiding the investigation into Kuciak's murder.